A full-cast BBC Radio 4 dramatisation of Terry Pratchett & Neil Gaiman's celebrated apocalyptic comic novel, with bonus length episodes and outtakes. Witchfinder Shadwell and his assistant Newton Pulsifier are also en route to Tadfield to investigate unusual phenomena in the area, while Anathema Device, descendent of prophetess Agnes Nutter, tries to decipher her ancestor's cryptic predictions. 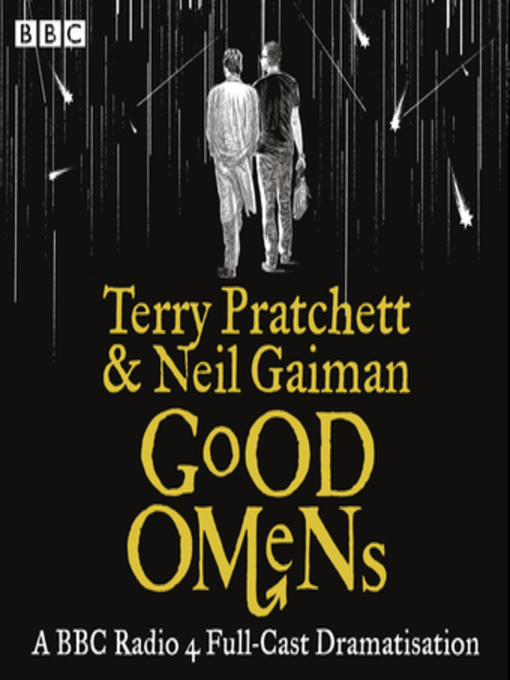 Adapted, sound designed and co-directed by Dirk Maggs (Neverwhere, The Hitchhiker's Guide to the Galaxy) this first ever dramatisation of Terry Pratchett and Neil Gaiman's novel features a large cast including Peter Serafinowicz, Mark Heap, Josie Lawrence and Paterson Joseph.